Live Law spoke to Keshav S Dhakad, Regional Director – Intellectual Property, Asia-Pacific & Japan, Microsoft Singapore. Keshav has 15 years of experience in Intellectual Property Laws and is licensed to practice before the New York State Bar. Keshav is currently also the Chair of Business Software Alliance (BSA) Asia Committee. 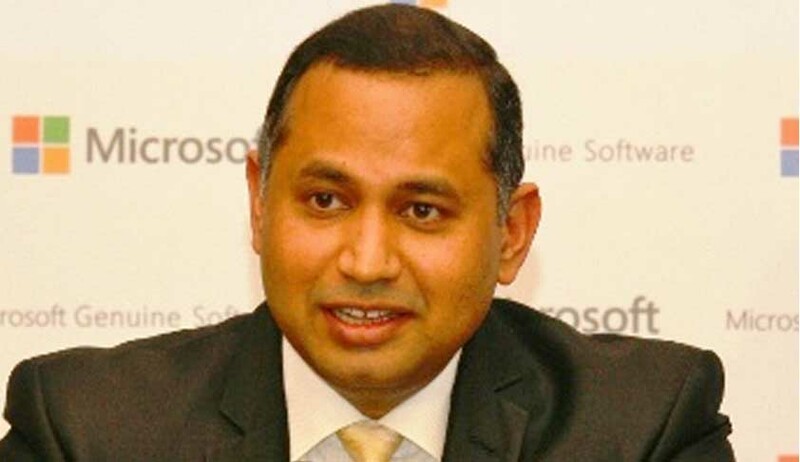 Prior to joining Microsoft Asia-Pacific in 2012, Keshav was the Director & Head of IP & Anti-Piracy Department as part of Legal & Corporate Affairs (LCA) at Microsoft India, since 2007. During his tenure at Microsoft India, he also Chaired the BSA India Committee and oversaw its operations. Prior to that, Keshav was a partner with the premier IP Boutique law firm, Anand & Anand, New Delhi and was heading its IT and E-Commerce law department, where he was an active member of the litigation team, since 1999. Live Law: It is said that a majority of Indian IT companies are not aware that software/ computer programmes are patentable under the Indian patent laws. Do you agree? Keshav: I think the awareness about the Indian patent laws and patentability of software programs is growing in the Indian IT industry, but to say that it has reached a level of maturity is a long shot. The fact that almost all the top Indian IT companies have dedicated patent law departments comprising a team of engineers and lawyers, the awareness on the business and competitive value of patents to protect innovation in IT is rising and patent application filings have gone up in the last few years. However, to a large extent it is still true that not all IT companies in India have clarity with regard to the level of protection the Indian patent law provides for software related technologies. Firstly, the law itself gives confusing signals to a non-lawyer. Section 3(k), which says “computer programs, per se, are not patentable” has been a bone of contention for many years as to its interpretation and scope. I would like to say here that software innovations [a.k.a. Computer Related Inventions (CRIs] do not face absolute exclusion from patentability under the Indian patent law. They only face “limited exclusion”, and IT companies must understand that software can qualify novelty, inventive step and industrial application criteria. Secondly, to my knowledge, there has been no court judgement which explains the scope and limitations of Section 3(k) for the benefit of the IT Industry. Thirdly, the allowance rate of CRI applications is quite low, and those applications may not be getting priority due to confusion among the examiners as well. Fourthly, there has been a lack of consistency between the various Patent Offices towards the interpretation of CRI claims and application of section 3(k). Nevertheless, the good news I have recently heard is that IPO has released the much awaited 2013 Guidelines for examination of Computer Related Inventions (CRIs) (See here) I have not reviewed the same in detail, but I believe this is a right step in the direction and may bring about uniformity and consistency in the examination and grant of CRIs in due course. I am happy to note that the Patent Office recognizes the importance of protecting innovation in the IT sector and its giving the due attention to the needs of the IT Industry. Live Law: Software piracy continues to remain a huge threat to the domestic IT industry. How is the IT sector meeting this challenge? Keshav: Yes, it does, and today the software piracy threat has reached a whole new dimension in terms of rising cyber security threats and malware attacks. In a recent South-East Asia Computer Security Study, we found that 69% of the new PCs samples, which were pre-installed with pirated software, were already infected with dangerous malware, before the PCs could even access the Internet. So today, piracy has become the hot bed for causing malware infections to perpetrate cyber-crimes and malicious attacks. Users of pirated software risk becoming victims of cyber-attacks & malware infections and may suffer serious financial and personal losses. However, I am happy to say that piracy has been dropping in India, but slowly and steadily, and has dropped 11% points in India since the year 2004 to stand at 63% for the year 2011 (2012 BSA-IDC Study). Which is a good trend, but on the other hand, the economic losses have increased due to continuous YoY rise in PC shipments in the country. One of the fundamental issues of piracy is lack of understanding/appreciation that software is one of the most valuable productivity IT assets of any organization, no matter how small or large. The other is the low respect for IP rights in software innovation. Companies and corporations are slowly realizing the value of Software Asset Management (SAM), an ISO Standard, and are increasingly adopting good IT governance models to manage their procurement, deployment and maintenance of software assets (licenses), not only for higher productivity and cyber security, but to also prevent themselves from financial and legal liabilities. Here, I would like to highlight a recent 95 country economic impact study done by INSEAD, one of the world's leading business schools, which found that increasing the use of legal & licensed software by 1 percent would add an estimated $73 billion to the world economy, compared to $20 billion from pirated software — meaning there is a $53 billion advantage associated with using licensed software from all counts. The study also finds the greatest potential for economic gains are in emerging markets where piracy is most common today. This study got extensive press coverage in the Indian press and world-wide. Live Law: Under the Indian law, what is the position of confidential information as far as the IT sector is concerned? Is there a need for a specific legislation for the same? Keshav: This is definitely a gap in the Indian IP Legal regime. “Confidential information” is a highly valuable area of the IP law, while being “fragile” by its own nature of protection, especially in the IT Sector. IT companies routinely deal with confidential information in their day-to-day functioning and undertake protection by means of internal policies, technological solutions, contractual & employment agreements, and physical security, as they deal with employees, vendors, partners, customers and even competitors. The toughest part is to maintain the “secrecy” of the information within the confine of the disclosure circle. Indian IT industry has seen numerous cases of software source codes or valuable data being stolen and misused by departing employees etc. Currently, there is no clear and direct law which protects confidential information or trade secrets. Whatever protection there is, it is under the tort laws of unfair competition, misappropriation, theft etc, and the Indian Penal Code, and other IP laws give secondary level protection. The scope of confidential information is very vast spanning from a simple price list to strategic plans, to technology blue prints & know-how, to secrete formulas, source codes and compositions. Unless there is a clear law, the enforcement of the current gamut of laws will never be adequate for the IP owners to protect their valuable information to maintain a competitive edge. Theft or leakage of confidential information can break a company or a start-up and waste millions of dollars in the R&D investment, especially when there are no adequate laws to provide sufficient and quick relief or remedy. India should definitely consider a sue-generis law for trade-secrets to enhance country’s competitiveness in attracting and fuelling innovation. Live Law: India has a robust IPR regime in place. What are the areas where there is a scope for further improvement? Keshav: India definitely has a strong set of IP laws, some of which are at par with many developed countries. As an example, if you simply look at the jurisdiction privilege given to the IP owners under various IP laws, you will be amazed to see its uniqueness. India has also almost doubled its number of IP Laws in the last 15 years and undertaken numerous amendment exercises to keep them updated, albeit slowly. Also after many years of discussion and debate, Indian Government announced its National IPR policy early this year. I am particularly impressed with the civil judicial system, which has constantly helped the IP community by protecting their IP rights and innovation with unique remedies, reliefs, and damages, and over the years have added tremendous value to the precedential value to IP jurisprudence. Delhi High Court, in particular, stands as the flag bearer of the IP Regime. But I must also add that the protection and reliefs do not follow a common pattern across the nation and there are many regions in the country where you may not get adequate reliefs or essential remedies. In my view, some of the current gaps, amongst others, are (a) lack of robust, comprehensive and uniform IPR education training modules and curriculum for judiciary, public prosecutors and law enforcement officials; (b) inadequate number of IPR police cells and requisite enforcement personnel to investigate IPR crimes under a “National IPR Enforcement Task Force”; (c) need for statutory damages in IPR laws, and making dealing and usage of piracy and counterfeiting a tax violation; (d) the poor state of IPR enforcement in district courts, which makes the criminal law enforcement least impactful to tackle IP Crimes; (e) absence of dedicated IPR benches or special IP courts in all district and high courts, considering how technical this subject matter is, especially in the IT space; (f) the low number of patent & trademark examiners and the need for adequate training and retention; (g) need to implement optical disc media law to regulate and govern the manufacturing, duplication and export of VCDs, DVDs; (h) Basic IP education in schools, colleges and universities as a compulsory subject matter, etc. Live Law: Are the countries in Asia and the Asia-Pacific region showing significant interest in promoting Intellectual Property Rights? Keshav: Yes, quite actively, although several countries in South-East Asia (SEA) suffer from their emerging market conditions, low respect or awareness around IPR, high piracy and counterfeiting, poor enforcement systems and corruption, etc. All this slows down their progress and they have a lot of ground to cover in this area. Having said that, it is increasingly becoming clear to many countries in Asia-Pacific that without strong IPR laws and policies, a country cannot become globally competitive and attract talent and investments. And that a country does not progress if Government does not treat IP as a priority, beyond other economic, social and political issues. One example of a country where you see dedicated investments being made towards improving its IPR environment is Malaysia. I have not seen a more pro-active Government engagement on IP Matters in Asia, and how they are giving importance to IPR to propel their economy to new economic heights. For the same reason, Malaysia has the lowest piracy rate (55%) in the Asia region. Other countries which are also getting serious about IPR laws are Thailand, Philippines, Indonesia & Vietnam. We have also seen China make impressive strides in driving domestic innovation and investments by improving National IP Infrastructure, such as setting up local IPR Aid Centers and increasing examiners to handle the volumes. Of course, Japan & Australia are developed markets with mature IP regimes. Korea is considered a developed market but the country has started to show emerging marketing conditions lately, as its economy slows down and Government’s seriousness about IPR has been diminishing lately, but hopefully it will pick up again. Live Law: Respect for IP rights in a globalised trade and commerce environment is facing another challenge in the form of “Unfair Competitive Advantage.” Can you elaborate on this aspect? Keshav: This is a new and a highly relevant topic. Today, respect for IP Rights in global trade and commerce is battling another dimension – “Unfair Competitive Advantage,” against those who violate IP Rights and create an uneven playing field for their global competitors and reap unfair benefits. Companies who steal and misuse IPR clearly cause unfair competitive disadvantage to those who invest in R&D, buy legitimate license rights, employ talent and invent or develop new technologies and fairly play by the rules. Currently, manufacturing and services industries from the West are shifting base to the emerging markets in Asia due to easy availability of labour, lower wages and low cost of facilities. One other factor which helps the local service providers to save cost unfairly is “low IPR compliance” and their active use of stolen IP, such as pirated or unauthorized software to run their IT operations and systems, thus creating unfair competitive environment. But “unfair competition” exists even “domestically” between the compliant / law-abiding companies and non-compliant companies, so the issue is not just about international trade. A momentum which started in 2011 in US has reached an advanced stage today, where exporting companies from Thailand have been penalized by the States of Massachusetts & Tennessee. One Chinese and one Indian apparel manufacturers are being investigated by the State of California, a Brazilian company being engaged by the State of Washington – all on account of being found to be using illegal IT or unlicensed software, while exporting to US causing unfair competition with US manufacturers. This is a start of an era where businesses will need to show compliance to IP Rights as well to fairly compete in the global trade, as they would comply with the labour, environment, tax and wage laws. We have seen several Asian Governments in the emerging markets, including India, taking a strong note of these Unfair Competition laws and advising their local manufacturing industry players to play by the rules in order to stay competitive in the global trade or miss out on the opportunity to grow their market share. In US, Federal Trade Commission (FTC) and several other US States are already paying a close attention to the subject matter of unfair competition and exports to US, and it has even caught the attention of the American Bar Association. Live Law: You have substantial experience in sensitising the IT industry and Government bodies with regard to checking software piracy and related issues in India. How different has your experience in the Asia-Pacific region been so far? Keshav: I have covered some of the challenges in my response above, but after spending close to a year in my regional role in Asia-Pacific, I can say that changing the mind-set that a safe, genuine and healthy IT environment and ecosystem is hugely beneficial to the society and economy, is a long drawn, multi-ferrous effort. Almost all APAC emerging market countries are high piracy markets and to make them see the bigger picture of IPR protection and enforcement against software piracy, requires a joint public-private partnership effort across all levels, starting with education and awareness, to finding the gaps in the law, building the right infrastructure, and adequate & serious enforcement to prevent piracy and counterfeiting. Our SEA Computer Security Study (Malware Study), which found that every 7 PCs out of 10 new PCs preinstalled with pirated software, were infected with dangerous malware, such as Trojans, Viruses, Bots and Worms, rang alarm bells within the Industry and Government, and they have started to see the economic loss, disruption of critical infrastructure, and political threats, cybercrimes can cause, which are today fuelled by high level of usage of pirated software. India still has a very strong civil enforcement mechanism to prevent software piracy, which in many countries in South-East Asia are not as robust or pro-active. The unfair competition initiative have also had profound impact in the way Governments and Industry bodies look at piracy and we have seen encouraging compliance behaviours and initiatives. Indonesian local IP industry body declaring piracy as “Haram” and Government launching “Safe-With-Genuine” campaign, to Malaysian Government announcing “Corporate Citizen Award” for software compliance behaviour and launching “Zero Piracy State” Campaigns, to Thailand & Vietnam Governments doing outreach to local industry to go genuine, are some of the best examples of the growing realization that there is tremendous value in safe, secure and genuine software environments.